If the Russian state falls into another period of crisis, the cyber operatives working for the Kremlin could turn against it, much as Moscow's criminal contacts have in the past. Still, the benefits of hiring criminal hackers to conduct cyber operations abroad will continue to outweigh the risks for the Russian government. As investigators around the world keep working to dismantle Moscow's hacking networks, digital meddling in foreign elections will remain a mainstay of Russian intelligence operations. Russia's interest in foreign elections didn't end with the U.S. presidential race. 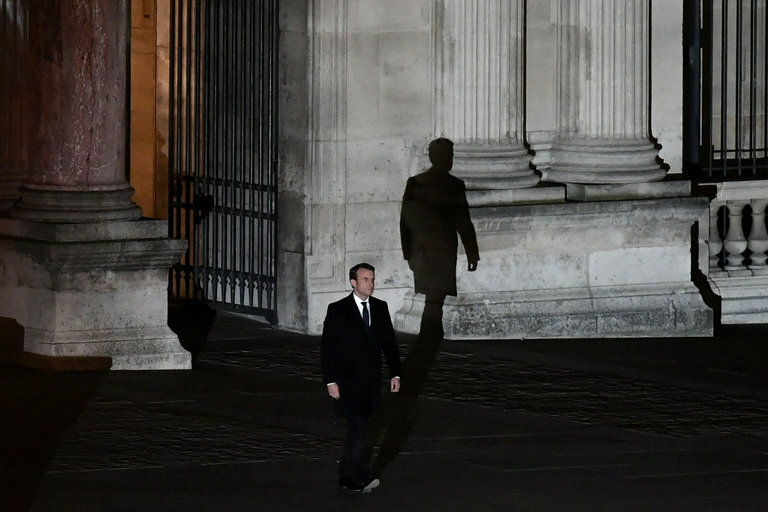 Two days after the first round of the French presidential election on April 23, a cybersecurity firm based in Japan reported that Russian hackers had targeted Emmanuel Macron's campaign in the runup to the vote. Macron, one of two candidates who advanced to the runoff slated for May 7, had accused the Kremlin of discrediting his campaign, and his staff complained of constant, sophisticated phishing attempts throughout the race. Phishing, though not the most advanced technique, has proved highly effective for conducting criminal activity and espionage; the Kremlin allegedly used the same tactic to interfere in the U.S. vote. Recent developments have shed light on the apparent ties between Russia's state security apparatus and the world's most sophisticated cybercriminals. When I was standing in the Nehru Memorial Museum & Library (NMML), looking up at the antique pillars, I felt like I had traveled into the past and could hear Jawaharlal Nehru, India's first prime minister, coming down the stairs. You can trust Captain Amarinder Singh, the gutsy Chief Minister of Punjab, to say it like it is. Speaking about the unspeakable Pakistani act of beheading two of our jawans and mutilating their bodies, he said simply: “We should stop being a gentleman’s army. If they (Pakistan) cut one of our heads, we should cut three of theirs,” The Indian Express quotes him as saying. In Jammu & Kashmir, he was clear that there should be no negotiations till the Indian Army got the upper hand against the jihadis and stone-pelters. The problem with us is that we have contracted - or rather, been born with - the “good boy” disease. We want certificates of good behaviour from everybody. When we conducted the surgical strikes, we sent messages to world capitals on why we did it. It was almost an apology for straying from the path of turning the other cheek. A foreigner has a good word to say about our democracy and we keel over with joy. A foreign newspaper criticises our caste system and we either go into denial of the problem, or self-flagellate for years on end. The recent Maoist attack in Sukma, Chhattisgarh, that left 25 Central Reserve Police Force (CRPF) soldiers dead, has brought back the spotlight on India’s counterinsurgency strategy. It is also raising questions about the country’s preparedness to deal with an armed rebellion that continues to pose serious challenges to the legitimacy of the Indian state and its institutions, ever since it surfaced some five decades ago. As usual, the daring attack prompted experts and longtime Maoist watchers to pick holes in everything: the state’s counterinsurgency strategy, operational capabilities, standard operating procedures, and so on. While these are reasonable criticisms, several analysts and self-styled experts went on to conclude a “complete surrender of Indian state to Maoists”, and that India’s was a “failing war on terror”. One analyst went to the extent of dubbing India’s current counterinsurgency strategy as “medieval”. The biggest mistake would be to treat the Justice Karnan affair as a one-off and not a systemic issue. There are many more Karnans in the judicial woodwork, and they will survive and corrupt the system further merely because they are foolish like Karnan. The impending six-month jail sentence of Justice C S Karnan of the Calcutta High Court for contempt of court will bring the curtains down on what must be the most sordid episode of judicial misdemeanour in post-independence history. However, it would be a mistake for anyone – including the Supreme Court that sentenced him – to assume that his case was an aberration. Yes, he was indeed an aberration, but only in the sense that he did not have the grace to accept the limitations set on him by the system, howsoever corrupt or unfair it may be. He was an aberration also because he chose to be loud with his allegation-peddling, thus making it impossible for the Supreme Court to overlook it. But, in a larger sense, Justice Karnan was not an aberration, for the system regularly produces judges of his kind, including politicised, corrupt or compromised ones. The mere fact that no major judge in the higher judiciary has yet been exposed does not mean that the system can keep its nose clean. It is not. 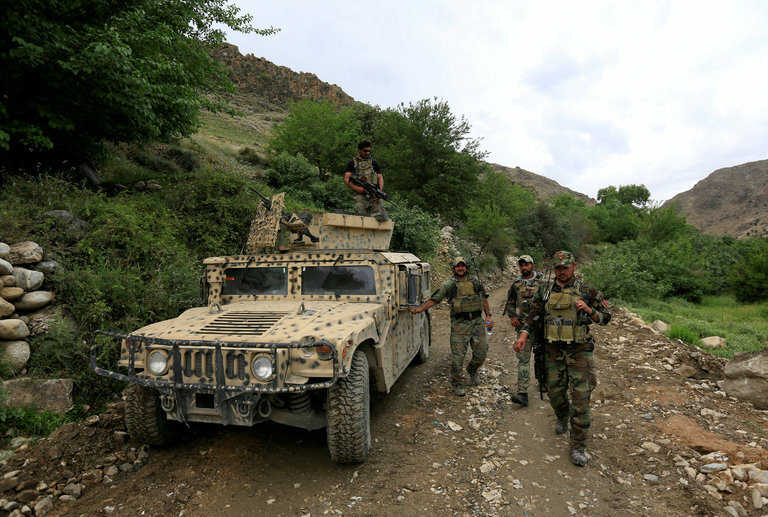 KABUL, Afghanistan — For the last month, American and Afghan forces have been engaged in a new offensive against an Islamic State offshoot based in Nangarhar province in eastern Afghanistan. The Trump administration dropped what it boasted was the biggest non-nuclear bomb on the group’s hide-outs on April 13; a militant leader and two American soldiers have been killed in the operations. An American military spokesman claimed there was a “very good chance” that the group would be eradicated in Afghanistan in 2017. But the United States obsession with the Islamic State in Khorasan — a minor group in Afghanistan — distracts attention from a more urgent task: negotiating a peace deal with the Taliban, which controls close to half of Afghanistan. Two years after its emergence in Afghanistan, the Islamic State affiliate is still struggling to consolidate its organizational capacity. The few major attacks it has claimed were mostly sectarian and aimed at soft targets: two gatherings of Shiites and a hospital in Kabul, and, in Pakistan, a Sufi shrine in Sindh and a hospital in Quetta. China's Middle East energy footprint has been expanding. In February, it made a deal for a stake in Abu Dhabi’s onshore oil. In March, Saudi Arabia’s King Salman bin Abdulaziz travelled to China to strengthen trade ties, and now a Chinese consortium is lining up for a stake in the Aramco IPO. Geopolitical trends favor deeper engagement, but Chinese companies need to show they can deliver. The Chinese need new upstream opportunities. Domestic production from the country's highly mature fields has slumped: down 6.9 percent last year and 8 percent year-on-year so far in 2017. But, encouraged by the government to guarantee energy security, companies' capital budgets are set to soar again this year. 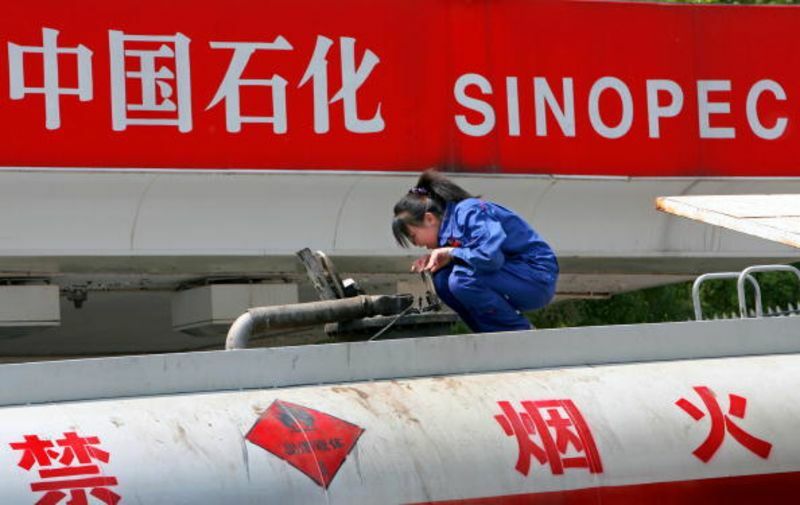 Sinopec will spend as much as BP, and even at the low end of estimates, PetroChina, the listed unit of China National Petroleum Corp., or CNPC, will be the highest-spending listed oil company in the world. Popular Arab rejection of Israel hasn't diminished much since the eve of the 1967 Six-Day War. After several military defeats, the largest and strongest Arab state, Egypt, signed a historic peace treaty with Israel in 1979. The defection of Egypt from the anti-Israel Arab alliance largely neutralized the option of a large-scale conventional attack on Israel, improving Israel's overall strategic position. Yet Cairo refrained from developing normal relations with the Jewish state. A "cold peace" evolved, underscoring the countries' common strategic interests but also the reluctance of Egypt to participate in reconciling the two peoples. Jordan followed suit in 1994, largely emulating the Egyptian precedent. Jordan's peace treaty with Israel also reflected common strategic interests – but was commonly referred to by Jordanians as the "King's peace," indicating a disinclination for people-to-people interactions with the Jews west of the Jordan River. Tanks drive past during the Polish-led multinational exercise Anakonda 2016 at the training ground Drawsko Pomorskie, VILNIUS, Lithuania — The U.S. military will increase its ability observe Russian troop movements near the Baltic states during a large military exercise planned by Moscow this summer, U.S. defense officials said. PARIS — Everyone saw the hackers coming. The National Security Agency in Washington picked up the signs. So did Emmanuel Macron’s bare-bones technology team. And mindful of what happened in the American presidential campaign, the team created dozens of false email accounts, complete with phony documents, to confuse the attackers. The Russians, for their part, were rushed and a bit sloppy, leaving a trail of evidence that was not enough to prove for certain they were working for the government of President Vladimir V. Putin but which strongly suggested they were part of his broader “information warfare” campaign. The U.S. watched as Russia “penetrated” French systems during the election runup and gave French officials “a heads up,” Adm. Mike Rogers said Tuesday. Rogers, who also serves as the director of the National Security Agency, said the U.S. is also cooperating with Britain and Germany amid fears that Russia will attempt to sway the outcome of their elections. “We had become aware of Russian activity. We had talked to our French counterparts prior to the public announcements of the events that were publicly attributed (to Russia) this past weekend and gave them a heads up. Look, we’re watching the Russians; we’re seeing them penetrate some of your infrastructure,” Rogers said in testimony before the Senate Armed Services Committee. Tens of thousand of internal emails and other documents were released online ahead of the French elections May 5, 2017. Cyber research firms have reportedly linked the coordinated cyberattack on France’s president-elect, Emmanuel Macron, to a group affiliated with Russia that is blamed for meddling in U.S. elections. Matthew Olsen served as director of the National Counterterrorism Center during the Obama administration and is an adjunct senior fellow at the Center for a New American Security. Edward Fishman served as a member of the secretary of state’s policy planning staff during the Obama administration and is a fellow at the Atlantic Council. The West can breathe a sigh of relief. Emmanuel Macron has won the French presidential election, despite yet another Russian intervention in support of a candidate (Marine Le Pen) whose views are decidedly illiberal and pro-Kremlin. But just because Russia came up short this time doesn’t mean that we can relax. On the contrary, the French election — months after a U.S. election marred by Russian meddling — demonstrates that cyber-subversion has become a central feature of Moscow’s statecraft. 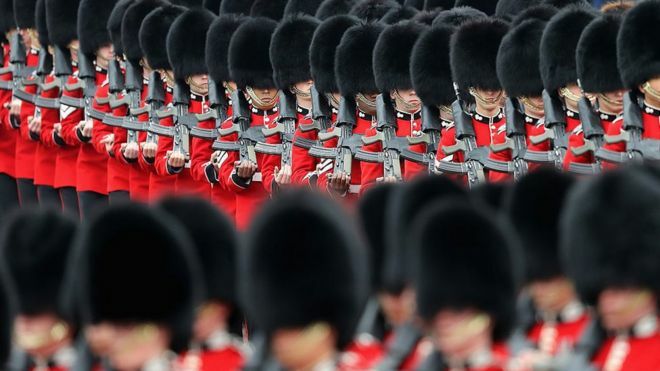 A distinguished group of former military top brass has written an open letter to the prime minister warning that Britain's security is at risk unless the armed forces are properly funded. 1. How do we deal with a more dangerous world (and Brexit)? There's always the danger of crying wolf. But few would disagree that the world is dangerous. The letter cites risks from all over the globe - whether from hostile states or extremist groups. On the evening of April 6, 2017, the Trump administration launched 59 Tomahawk missiles at an airfield in Syria for retribution to the latest chemical gas attack in Syria. [ii] In the leadup to the imminent attack and the aftermath, the print media, blogs, television and social media responded with analysis, the most succinct coming from those in the “know,” highly placed members of Congress and former DoD talking heads. The consensus was it was proportional strike, but just a first step in what should be a more elaborate multi-phased strategy in Syria, and the entire region. The enlightened also suggested that operations should include continuing or even increased humanitarian aid and crisis response and the hard work at building coalitions through diplomacy. There was as well the resigned understanding that accelerated fighting will increase the flow of refugees, and the horrific images of the conflict will continue to assault our senses. There was also a palatable understanding in the responses and discussion that the Syrian civilians and other ethnic groups in that areas were of primary importance to seeking an end state. Operation Iraqi Freedom (OIF) and Operations Enduring Freedom (OEF) were the first large-scale counterinsurgency efforts the US had ever been involved in and created a very steep learning curve in missions seeded with non-kinetic and population-centric operations. If OIF and OEF confronted the US military with undergraduate cross-cultural issues and needs, Syria today gives us a PhD lesson in the cross-cultural complexity that now confounds our involvement in areas around the world. The evolution of how we now go to war, or perhaps, better, how war now fits into missions that always features a complex web of social and cultural relations has brought us to this point in time. We are not in Kansas anymore. YOU GET DETERRENCE, AND YOU GET DETERRENCE, EVERYBODY GETS DETERRENCE! I can’t count the innumerable times I heard variations on the above during my time in the Pentagon. No doubt Secretary of Defense James Mattis is hearing similar pleas to deter adversaries from across the Department of Defense. Combatant commanders — focused on today’s challenges — want to ensure conflict does not erupt or escalate in their area of responsibility (AOR). They want more of everything in order to deter threats, and they want them yesterday. The military services — focused on tomorrow’s challenges — want to preserve platforms, readiness, and assets, including people. The Joint Staff wants to ensure the secretary hears these two competing perspectives and hears the chairman’s perspective on how resources should be divvied up. And those in the Office of the Secretary of Defense will ideally look across the cacophony of requests from all of the above, align them with the Pentagon’s strategy and the evolving security environment, and advise the secretary on a “good enough” solution. The recent March for Science in Washington has been most often associated with the types of science championed by the Environmental Protection Agency or the National Science Foundation. Overlooked in this movement is how science contributes to other aspects of policy, specifically in the Department of Defense. When it comes to Syria’s chemical weapons arsenal, established science has helped open a small window into otherwise unknowable circumstances. The Syrian civil war is complex and rife with uncertainty. It is difficult to determine who is fighting with whom as alliances shift and battle lines are redrawn again and again. Amidst this fog, dozens of civilians were found choking in the streets of Syria’s Idlib province with symptoms matching those witnessed after a 2013 chemical attack. Such attacks are illegal under the Chemical Weapons Convention. When attacks like this happen, it is crucial to identify the type of chemical agent used and attribute its source. Building a chain of custody for the weapon is not possible without science. Over the last several years, satellites have monitored the military buildup at Syrian air bases where chemical weapons were previously stored. Radar and signal processing systems were used on the day of the attack to connect the flight of Syrian aircraft from the Shayrat airbase to the site of the chemical weapon release. In the days that followed, forensic medical tests on the attack site and the victims’ bodies confirmed the use of chemical nerve agents, in turn enabling medical personnel to provide essential aid to the victims. Although gaps in the story remain, these technologies have given focus to a limited number of potential actors and a high probability that these attacks were conducted by the Assad regime. Civilizations: It's the Written Languages, Stupid! One key difference between human beings and animals is language: we have it, both verbal and written, but they do not. The first civilization started in Egypt about 6,000 years ago. Verbal languages existed way before that. However, it was not until about 3,000 years ago, when several written languages (e.g. Greek, Hebrew, and Chinese) were developed, that human societies started advancing significantly, from philosophy (e.g. Greek and Chinese), to religion (e.g. Judaism), and to a recorded history, thanks to literacy! As cyber issues permeate more of our society – from military operations and defense to the integrity of the financial sector to allegations of foreign nations interfering in elections – U.S. Cyber Command has a lot on its plate. CYBERCOM Commander Adm. Michael Rogers, who is also director of the NSA, discussed the laundry-list of activities his command is undertaking during a May 9 hearing before the Senate Armed Services Committee, many of which are aimed at maturing the organization, deterring foreign attacks on U.S. infrastructure and escalating the digital fight against terrorist groups. Committee Chairman Sen. John McCain, R-Ariz., has been adamant about the need for a cyber strategy and policy. He frequently lamented the lack thereof during hearings over the course of the Obama administration. His frustration has continued, as he noted during his opening statement that the committee was hopefully, “after years without any serious effort to develop a cyber deterrence policy and strategy from the last administration,” going to get such a strategy, which the new administration promised within 90 days of inauguration. Users can of course continue to use the OS but as of April this year, all support and updates will be cut. Not many people are likely to notice, though. As data from Net Market Share shows, the 10 year-old has a current market share of 0.78 percent. It's not all about age though. The older but more loved XP still enjoys market share of over 8 percent, despite also having had no support since 2013. Riding high at the top though, is Vista's successor Windows 7. With an almost majority hold on the market, the 2009 operating system claims the top spot, still ahead of the aggressively pushed Windows 10 for the time being. This chart shows global desktop operating system market share in February 2017. All domains of war will be contested. This is the notion of multi-domain battle. And it includes the GPS signals that the military and the commercial world — think everyday navigation for ride-hailing app Uber — are so reliant upon for location and timing of operations. The U.S. Army, through its assured position, navigation and timing, or PNT, program, is trying to remedy this issue. This program will take the Army to the next level of navigation warfare and PNT capability beyond just GPS alone, according to Kevin Coggins, the service's program manager for PNT. Speaking at the C4ISRNET Conference on May 3, Coggins said GPS is currently the gold standard for how to get PNT information. Adversaries have figured out how to attack this technology, he said, noting that it has many vulnerabilities detailed in open-source materials for exploitation. Russia, especially in Syria, have been very effective at exploiting these vulnerabilities, Coggins asserted. New research reveals that cyberattacks on the government sector doubled in 2016, hiking to 14 percent from 7 percent of all cyber security attacks in 2015. Attacks on the finance sector also rose dramatically from just 3 percent in 2015 to 14 percent of all attacks in 2016. The manufacturing sector came in at third place at 13 percent, while the retail sector, which topped the list of all cybersecurity attacks on all sectors in 2015 moved down into fourth place (11 percent). This is according to Dimension Data’s Executive’s Guide to the NTT Security 2017 Global Threat Intelligence Report, which was compiled from data collected by NTT Security and other NTT operating companies including Dimension Data, from the networks of 10,000 clients across five continents, 3.5 trillion security logs, 6.2 billion attempted attacks, and global honeypots and sandboxes located in over 100 different countries.